Find some news and press coverage of my former and current projects. Last week I was invited to talk about our approach to design for behavior change and to discuss this approach with Peter Post (Scholz & Volkmer) and Jorn Craeghs (Sade Studios). 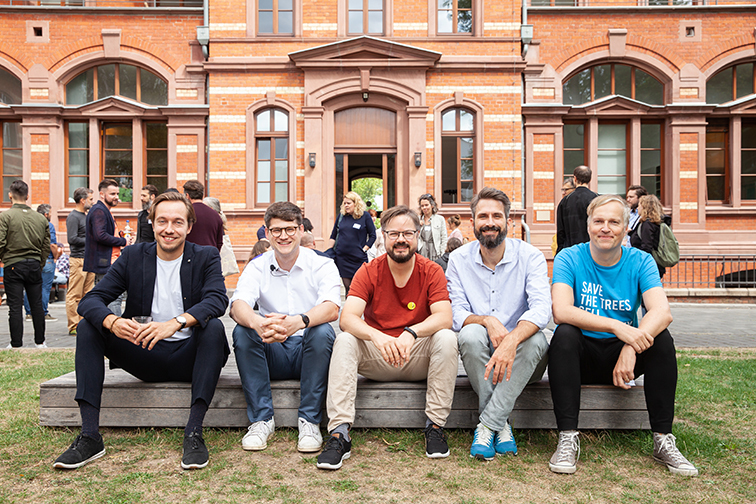 It was a pleasure to be part of the Behavioural Design Camp in Wiesbaden. Over the last years we established our Aesthetic of Friction. A set of notions and principles to guide the design of friction. Our Pleasurable Troublemakers are embodiments of this “Aesthetic of Friction”. Although the Troublemakers already attracted a lot of attention we are very happy about this one. A few weeks ago, we were invited to contribute a short video to the R&D Salon of the Museum of Modern Art, New York. The R&D format of the MoMA "is a research resource for departments and initiatives across the MoMA. It helps inform the Museum’s short- and long-term plans by means of a digest, thematic salons, and ad hoc meetings and discussions, both large and small." We are proud to be part of the 26th Salon about Friction. Check out the wonderful website of the MoMA R&D Salon and our short video. 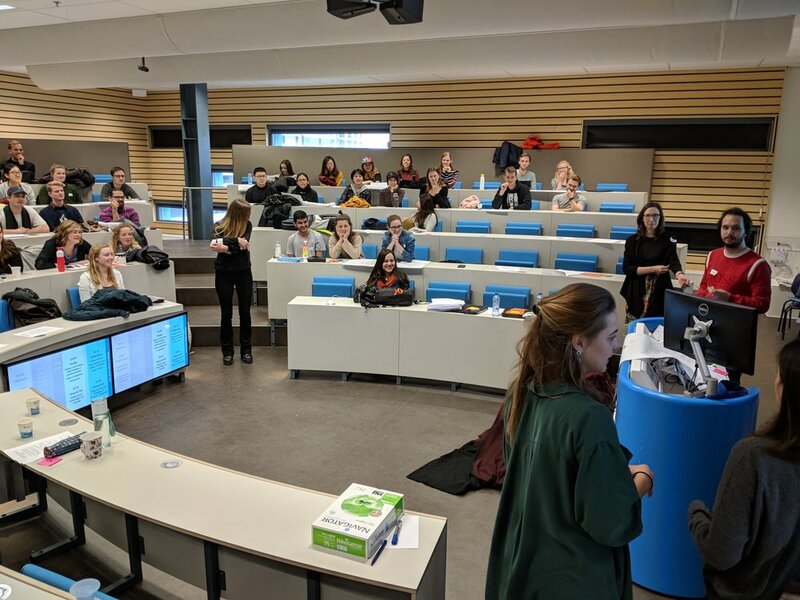 This week Anna Pohlmeyer and I carried out a workshop on "Design for Happiness – the riddles and practices of wellbeing" at TU Delft. 80 students, 14 groups and a lot of fun. Thanks Anna for the great time in Delft. Looking forward to come back. Right before Christmas a crew visited us in Siegen to shoot a TV report about our approach of Pleasurable Troublemakers. After almost 9 hours with the team we are looking forward to the upcoming report on February 3rd 2018. The report will be part of the ARD (public service television) show called "W wie Wissen". I was invited to become a program committee member of Persuasive 2018 Looking forward to upcoming submissions. Für Sarah Kellberg, eine der Kuratorinnen der sehenswerten "energie.wenden"-Ausstellung im Deutschen Museum, ist die "Raupe Immersatt" ein Lieblingsobjekt. Am 28.02.2017 war ich auf dem Podium im Museum Angewandte Kunst in Frankfurt. Hier ein paar Eindrücke. „Smartness“ ist zu einem verheißungsvollen Schlüsselbegriff der digitalen Industrie geworden und folgt man ihren Versprechen, führen smarte Dinge zu gesteigerter Nützlichkeit. Das smarte Ding agiert zunehmend selbständig und passt sich den Vorlieben und Bedürfnissen der Nutzerinnen und Nutzer an. „Smartness“ verändert die Objekterfahrung, aber gestaltet sie auch das Verhalten derjenigen, die alltäglich damit umgehen? Diese Frage steht im Zentrum des Podiumsgesprächs Smart Objects – Smart Design – Smart Everything? Von Dingen mit Verhalten, ihrer Gestaltung und wie sie unser Leben beeinflussen. Anhand von Beispielen gehen die Podiumsteilnehmer/innen dem Nutzenversprechen „smarter“ Dinge auf den Grund und stellen ihre Thesen dem Publikum zur Diskussion. Bereits im Sommer 2016 ging das Podiumsgespräch Die smarte Diktatur. Der Angriff auf unsere Freiheit auf die Risiken der digitalen Technologien in puncto Datenschutz ein. 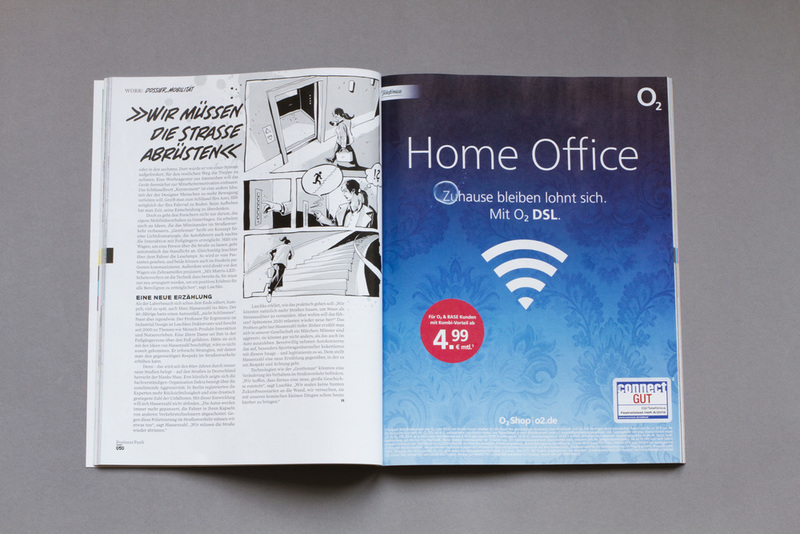 Der kommende Blickwechsel fasst ins Auge, wie sich die Mensch-Ding-Beziehung durch „Smartness“ gewandelt hat. Welchen neuen Aufgaben stellen sich Designerinnen und Designer, seit sie nicht mehr nur Form und Funktionalität, sondern auch Objektverhalten und Nutzungserfahrungen gestalten? Kann sich daraus eine tiefergehende Beziehung entwickeln, in der wir die Dinge nicht einfach nur benutzen, sondern sie wertschätzen, uns an sie gewöhnen und ihnen sogar vertrauen? Und kann das wiederum die Grundlage für eine lange und damit ressourcenschonende Nutzungsdauer von Dingen sein? In Kooperation mit ma ma Interactive System Design, Frankfurt. Das Podiumsgespräch wird moderiert von Stefan Karp, Designer und Geschäftsführer von ma ma Interactive System Design und Grit Weber, stellvertretende Direktorin und Kuratorin für Design, Kunst, Medien am Museum Angewandte Kunst. Der Einlass zum Podiumsgespräch beginnt um 18.30 Uhr, da das Museum am Tag der Veranstaltung (Faschingsdienstag) geschlossen ist. Ich freue mich, dass die „Kleine Raupe Immersatt“ und „Vergissmeinnicht II“ ab dem 15. Februar im Deutschen Museum zu erleben sind. Im Anschluss wird die Wanderausstellung in internationalen Museen gezeigt. Prof. Dr. Marc Hassenzahl (links) und Dr. Matthias Laschke in München zur Ausstellungseröffnung. Here some impressions of the Future Day 2016. I am invited to talk about our approach of the Pleasurable Troublemakers at the 7th 1000 Vordenker-Gathering "The Future of Design" in Basel, June 23-24th . Looking forward to this event. A short interview I gave (in german) about what I am going to talk about at the FutureDay '16. I am invited to talk about our approach of the Pleasurable Troublemakers at the FutureDay '16. Looking forward to meet you at the FutureDay in June. Der Technik-Salon an der Leibniz Universität Hannover ist ein Kulturpodium für Technik, das sich den Querbezügen zwischen Technik, Kultur und Gesellschaft verschrieben hat und Technik nicht als reines Ingenieurfach auffasst. Dabei geht es um eine Verantwortung von Ingenieuren und Gestaltern gegenüber der Gesellschaft, als Sorge für das Gemeinwesen und das Wohlergehen künftiger Generationen. Marc Hassenzahl und ich sind im Zuge unserer gemeinsamen Forschung zu den Pleasurable Troublemakern vom Technik-Salon eingeladen worden und können uns einen ganzen Abend dieser Thematik zusammen mit einem Publikum widmen. Wir freuen uns schon auf diesen Termin. Check out the latest feature about our Pleasurable Troublemakers on BBC Mundo. I am invited to talk about our approach of the Pleasurable Troublemakers at the Ludwig-Maximilians-Universität München, Economic and Organizational Psychology, Department Psychology. The new home of our former colleague Sarah Diefenbach. Looking forward to meet Sarah again in Munich. Check out the latest feature about our Intervator and the Pleasurable Troublemakers on The Creators Project. Thanks Roy for the nice chat and article. My colleague Eva Lenz and I were invited to give two guest lectures at 'Virtual Prototyping summer school 2015' at Politecnico di Milano in July. Looking forward to this event. 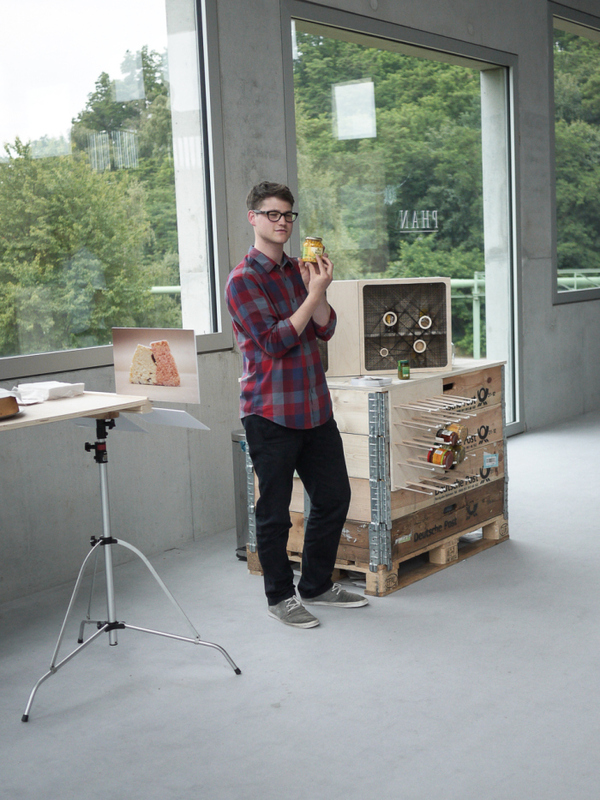 I was invited to talk about our approach of Transformational Objects at the 1st CycleHack Wuppertal. Thank you Laura Popplow for this interesting and joyful event. I was invited to talk about our approach of Transformational Objects at the 4th International Design Conference "The Need for Design" in Katowice. Looking forward to this event. Have a look at number seven. Thanks Wired.com. Good news at the end of the year 2014! 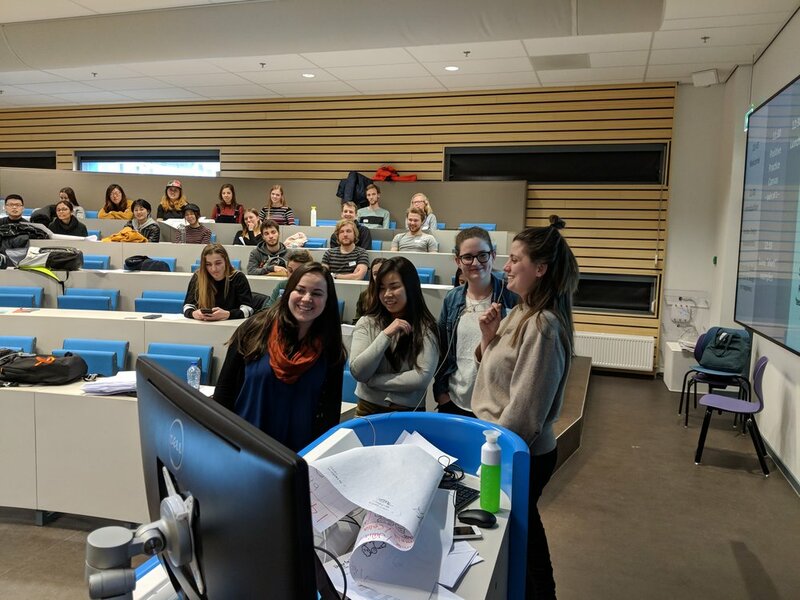 A friend of mine, Anna Pohlmeyer, Assistant professor, Department of Industrial Design, Delft University of Technology, send me some pictures how she set up her Keymoment (unplugged) I gave to her as a present on a conference. Anna is using it a little bit different. Instead of using a car key, she uses her key for the gym. Anna uses this setting as a reminder to take her gym key and gym bag before leaving her flat. Looking forward to talk to Anna about her experiences. Thanks Carine Lallemand for this great article! Je ne comprenais pas tout, mais la majorité, je pourrais comprendre. Sarah, Marc and I were invited to write a short article about automation and its costs for the factorY magazine. We will present part of our research projects on this year’s NordiCHI’14 in Helsinki. BTW: If you want to see Evas and my talk you can switch sessions. Eva is the first speaker in her session and I'm the last in my session. Check out the latest feature about the Pleasurable Troublemakers and my work at Folkwang University of the Arts. The short article is part of a series called "Studiscouts" that reports about selected projects and people of our university. Check out the latest feature about our Keymoment (unplugged) and the Pleasurable Troublemakers on fastco.exist. Thanks Adele for the nice chat and article. Nice feature about our Keymoment (unplugged) and the Pleasurable Troublemakers on inputmag.dk. Thanks! Check out the feature about our Pleasurable Troublemakers on Kelownanow.com. Our Shower Calendar on. ecofeedback.ca. I was invited as an expert for designing for change at the Klima.Expo 2014 opening event. Premier of the State of North Rhine-Westphalia, Hannelore Kraft, Minister for Science and Research, Svenja Schulze and Federal Minister of Economy, Sigmar Gabriel inaugurate the event. 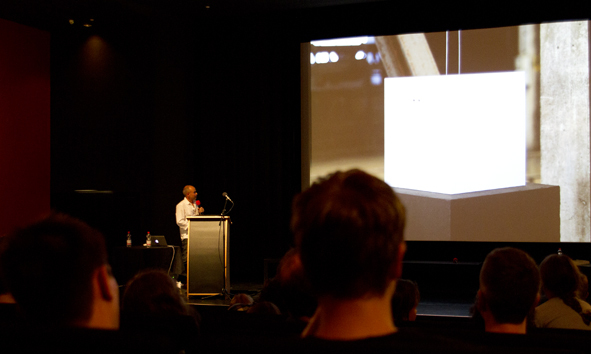 Our Keymoment movie was presented as an example for designing for change. Moreover our cooperation projects with the Wuppertal Institute for Climate, Environment and Energy and Prof. Dr. Christa Liedtke were presented. Yesterday, June, 17th 2014, Marc and I had the chance to present our Pleasurable Troublemakers to Svenja Schulze, Minister for Innovation, Science and Research of the German Federal State of North Rhine-Westphalia. Our presentation was part of a journalist journey that presented several projects that are realized in cooperation with the Wuppertal Institute for Climate, Environment and Energy and Prof. Dr. Christa Liedtke. Our latest object, Keymoment unplugged, was featured by laboiteverte.fr. Merci beaucoup. Check out the nice article. This year we are invited to present our Pleasurable Troublemakers at the NRW Day 2014 (North Rhine-Westphalia-Day). The federal state celebrates a three-day festival from 27 to 29 June. Together with the Wuppertal Institute for Climate, Environment and Energy we will present our latest cooperative research projects. The NRW Day will be part of the 800th jubilee of Bielefeld, Germany. Premier of the State of North Rhine-Westphalia, Hannelore Kraft and Minister for Science and Research, Svenja Schulze will be also present. Update: Bye-bye Spain. It was a nice short journey and an interesting lecture at Diseinu Berrikuntza Zentrua in Arrasate-Mondragón. After a lot of Tortilla de Patata, some glasses of cider and an extensive trip to the countryside of the Basque country we had to say good bye to Aiur, his family and the students. Looking forward to meet you soon again. Aiur Retegi invited my colleague Eva Lenz and me to give a guest lecture at 'Diseinu Berrikuntza Zentrua (DBZ)' at Mondragon Unibertsitatea in San Sebastián. Looking forward to meet Aiur and his students in May. Check out the latest feature about our “Pleasurable Troublemakers” at fastcodesign.com. Some weeks ago I talked to Eric Jaffe, who is a New York City based writer. To cut a long story short, check it out yourself. Update: Big thanks to the organizers for a stimulating and well organized Habit Summit Europe in Amsterdam. We all know people, who seem to have all the “good” habits: Taking the bike instead of the car or showering only briefly and only cool. Wouldn’t it be nice to adopt at least some of those for the sake of our own health and the environment? This is easier said than done. “How can we build and adopt good habits, which support achieving our self-set goals?” One potential answer is: “Through transformational objects”. Objects, which materialize good habits, but with a little twist. Meet me in Amsterdam on the Habit Summit Europe to learn more. I'm invited to give a talk about our Pleasurable Troublemakers at the symposium for consumer research called "Verbraucherforschung – Nachhaltiger Konsum – Eine Frage der Politik, der Produktion und des Stils?". Stefan Geisler invited my colleague Eva Lenz and me to give a guest lecture at HRW | University for Applied Sciences. Looking forward to this event. Marc and I were invited to write a short article about our Pleasurable Troublemaker for the factorY magazine. Check out the article here. We also won the “best paper award” for “Overcoming Procrastination with ReMind” by Matthias Laschke. The paper presents a study about an object designed to help people to overcome procrastination. 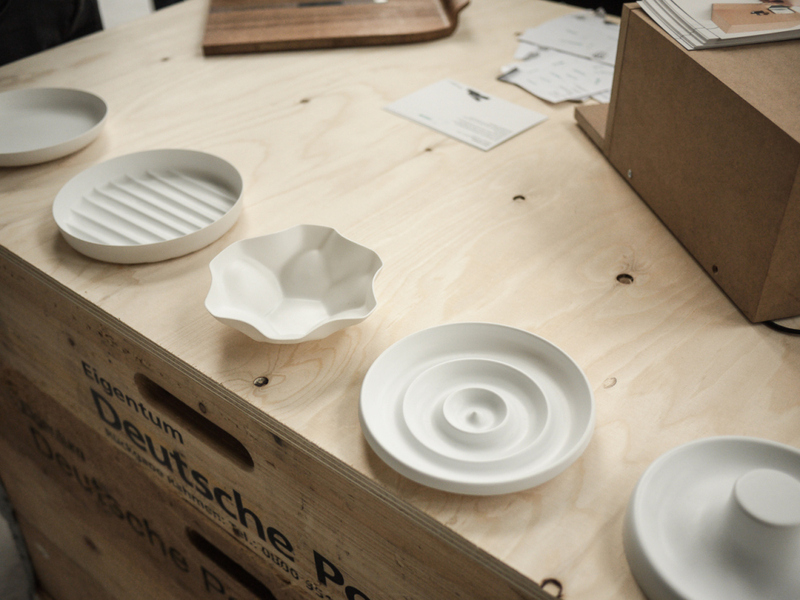 The object itself was designed in a supervised thesis project by Jan Brechmann. Jan based his project on our “Aesthetic of Friction” and designed a beautiful transformational object. Matthias built a fully functional prototype and conducted a study over the course of 15 days. 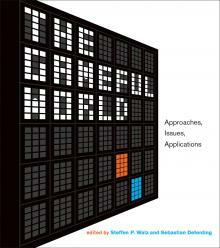 Evgeny Morozov cites our work of Transformational Objects in his current book. You have to read it. In "To Save Everything, Click Here." Evgeny gives a little review of the Never Hungry Caterpillar extension cord and the Forget Me Not reading lamp. Our project “The Chocolate Machine” will be shown at the Lodz Design Festival in Poland. The Chocolate Machine was chosen by a team of curators to participate in the exhibition called “Empathy”. Come and see our machine and many other interesting exhibits. 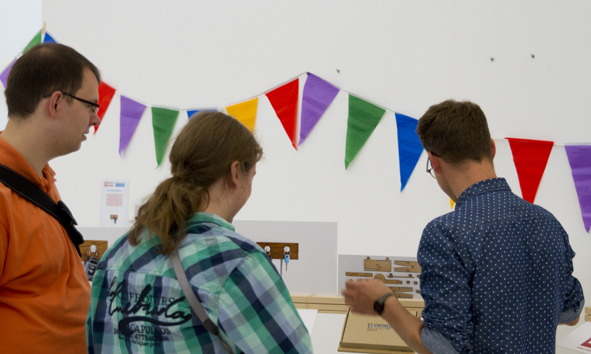 This year we presented most of our projects at our design department’s annual exhibition called „Sichtwerk“. From November 2. - 4. we present our Transformational Objects – pleasurable troublemakers – on the contemporary art ruhr in the SANAA building on Zollverein. Based on our Note at CHI’12, "The Chocolate Machine" arouses some interest. Marc talked to Drake Bennett of BloombergBusinessweek. Additionally, Tim Manners of Reveries.com posted an short note about the Chocolate Machine. Additionally The Food Chanel posted some lines about us and the machine. The Shower Calendar at Designboom.com. Also see the Shower Calendar at the Design Report and on designboom.de. Marc was invited to speak at the TEDx event on Moral Persuasion on the 8th of November at the Utrecht Hogeschool on “Transformational Objects and an Aesthetic of Friction“. September, 25th | 3 p.m. The CHI conference in Vancouver is approaching. Matthias Laschke participates in the workshop on Gamification on Saturday with a plead for using more intrinsic rewards - “Mayor or patron? The difference between a badge and a meaningful story“. On Wednesday, 11.00, he presents ourShower Calendar in the Session Sustainability 1. Meanwhile the Shower Calendar got some attention: information aesthetics, fastcompany, thegraffik. Thanks! 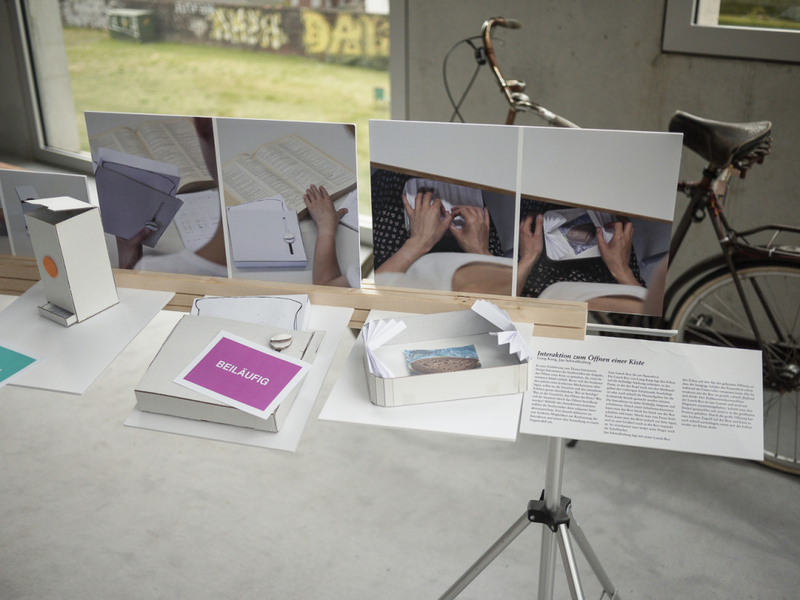 This year we were invited to present our Transformational Objects at the e-culture fair 2011 in Hasselt, Belgium. Folkwang presented a selection of Transformational Objects. 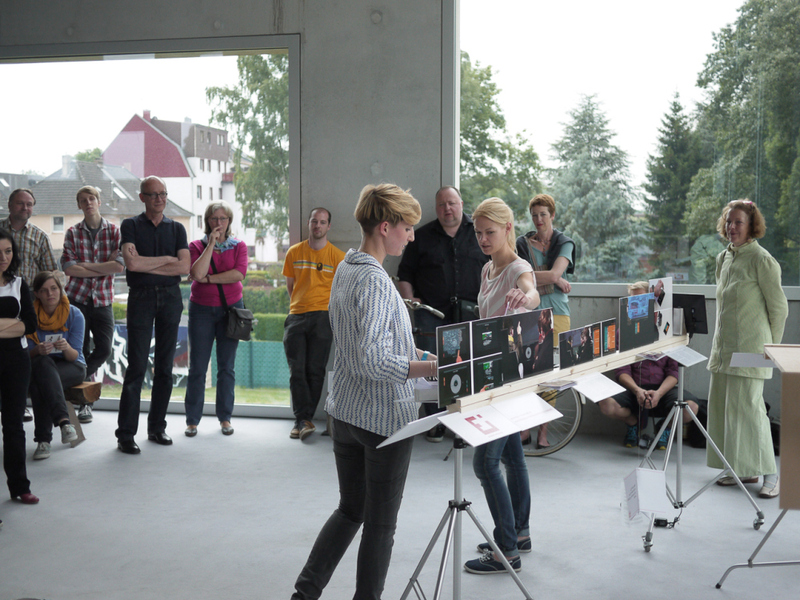 Two students – Tobias Ellinger and Philip Oettershagen – presented their supervised project “Do / Panic“. The project engages you in a dialogue about tidying up your desktop – if you like – or not. I was invited to talk about our approach of Transformational Objects in the filed of sustainability at ÖkoRausch in Cologne.